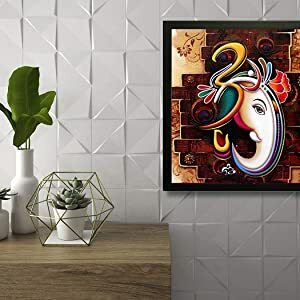 If you are looking to Decorate your Room with a Ganesha Idol or have it in your Puja Room, the Ganesha Framed Painting is just the product for you. This been digitally reprinted to give it a great look. The Material is Synthetic and Framed(made of wood & multi-colored). The Painting would sure to enhance the Look of your Room and make it vibrant & ethnic. 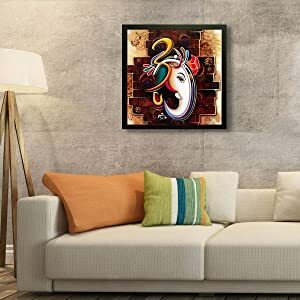 We bring you this framed painting which is made from wood and is multi-coloured. The painting comes with a 30 cm x 30 cm size and is suitable for drawing rooms and living spaces or office spaces. 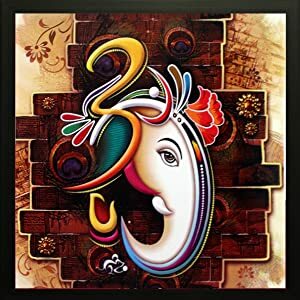 The Ganesha painting brings in a vibrant and ethnic feel to your living space and gives it a special look and feel. You can use it to decorate office spaces, living spaces, hotel or restaurant interiors and any corner which you want to liven up. Buy Now till the stock Lasts(only a few left).